Zombie Hall. : Valley of the Zombies. I’ve honestly never heard anything about this film. But if we’ve learned anything from other movies from around this time that have the word zombie in the title, it’s that they often barely feature any zombies. Let’s wait and see, I guess, if this 1946 venture is guilty of the same. Starkwell: The stage is set. Starkwell: Wait, no one saw him come in? They just left through that door. Lovelock: Honestly, who cares, the dude in the cape is awesome and creepy and the best. Starkwell: Ormond Murks and Rufus Maynard… this movie might have the best names ever. As Ormond kills Rufus for his blood, Starkwell noted that “people don’t talk like this anymore, and, really, that’s a shame.” Lovelock responded something along the lines of having heard that before and called Starkwell a nerd. They did seem pretty psyched about the movie so far. Starkwell: Did the cop just say “he ain’t diggin’ potatoes”? Lovelock: Did he just say “the party that has a peculiar passion for pickling”? The cops go to the hospital and find Dr. Evans and Nurse Drake. The cops are pretty insensitive. As Lovelock said, “it’s almost comical.” Even more insane is how calm and funny Evans and Drake are acting when the cops are interrogating them. These are some pretty dumb cops. Starkwell: Why would they try and solve the case? Lovelock: Probably for the same reason that they think it’s so hilarious that they are the top suspects in a murder investigation. Lovelock: That’s what them skirts do best. Well that and getting’ into trouble. Lousy dames. As the film played out like a live action episode of Scooby Doo, the pair seemed both interested and bored all at the same time. They perked up during a somewhat interesting car chase sequence. Honestly, it was pretty impressive for 1946. Starkwell: Make up your mind, movie… Is it voodoo, black magic or hypnosis? Kev, a lot of zombie movie experts say that the zombie movie didn`t really begin until 1968 with the release of Romero's masterwork, and that all so-called zombie movies that were released before that were just useing the word "zombie" under completely false pretences, i just wondered if you agreed ?. I definitely don't agree. I also don't think anyone actually says that. Generally "White Zombie" is considered the original zombie film. 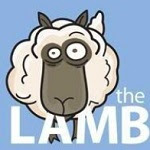 We stumbled across your blog while trawling through LAMB and we love it. You have an original way or writing your reviews, and review films that are not as well known as some. Awesome. I never have a problem receiving compliments.